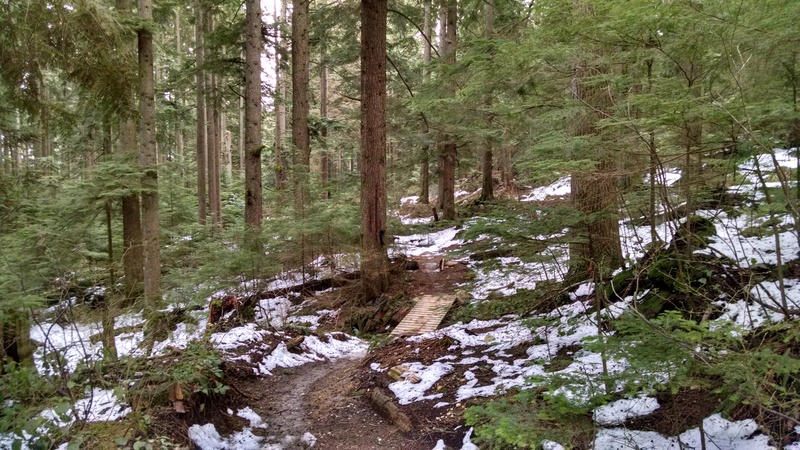 Before the latest dump of snow, there was a lot of dirt work and regular maintenance on both Fromme and Seymour. Our trail crew focused a good amount of time on Kirkford, Bobsled, Roadside Attraction, Crinkum Crankum and Ladies Only, clearing drains and adding fresh dirt. 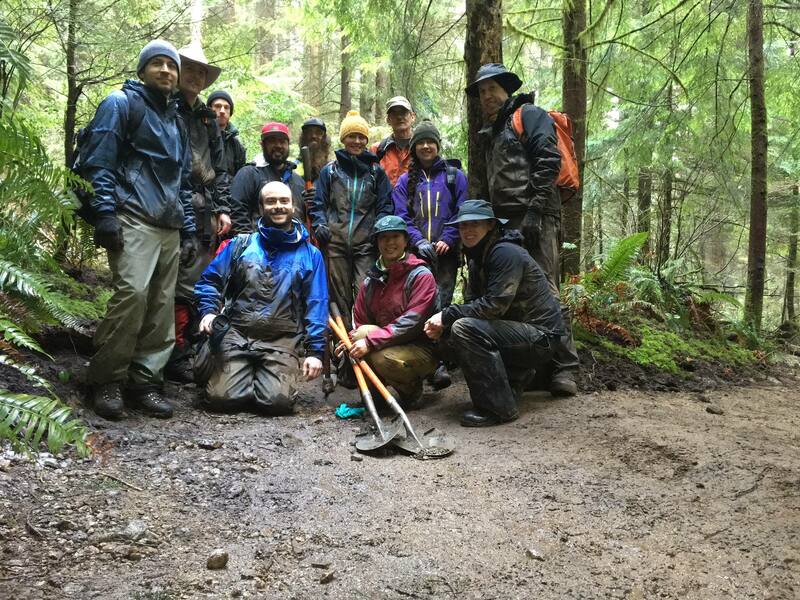 Volunteers and our Arc’teryx Trail Academy team were busy on Seymour! We were able to host two Race Face Shore Corps days and one Academy day on John Deer, completing some minor realignment to increase visibility and control rider speed while also improving the water management features. 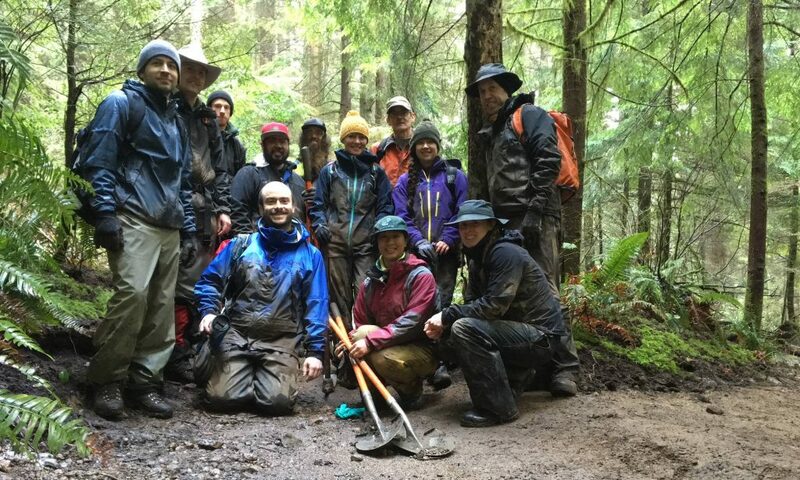 The Arc’teryx Trail Academy also had some practical days on Bridle Path and Cardiac Bypass. They were able to add some new ditches, grade reversals and other water management strategies to significantly reduce the trail damage from water erosion. Since the snow hit us again mid February, trail work slowed down a bit up until last week as we waited for the dirt to return. But during that time our trail crew was busy planning the year’s work schedule and how best we can allocate our resources to both mountains (as well as getting our new hires set up). Now that most of the snow is melted or quickly melting, we’re back out there in force! If you’re interested in volunteering, check out our events calendar for all upcoming community trail days. Our next community trail day is on April 21st with MEC on Expresso so we hope to see you up there!